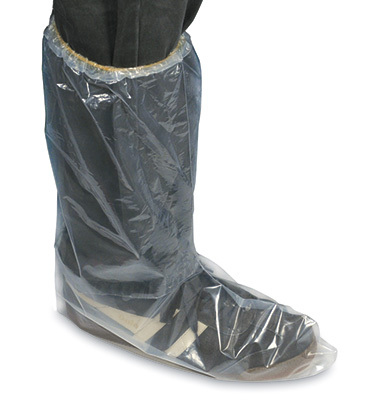 Reduces the risk of infection from potentially hazardous liquids. Boots slide easily into cover opening. Elastic top helps cover stay in place. Height is 16". Each bag contains 50 boot covers; 25 pairs per bag.